The car on show is a SG Prosso Expert, introduced in 1982 and the last 1/12th scale car made by SG. 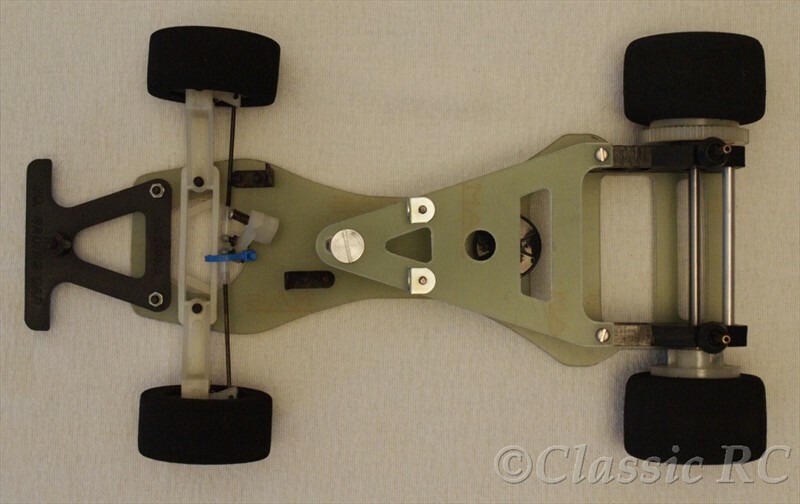 Some parts were retained from earlier cars as the bumper and rear pod plates. 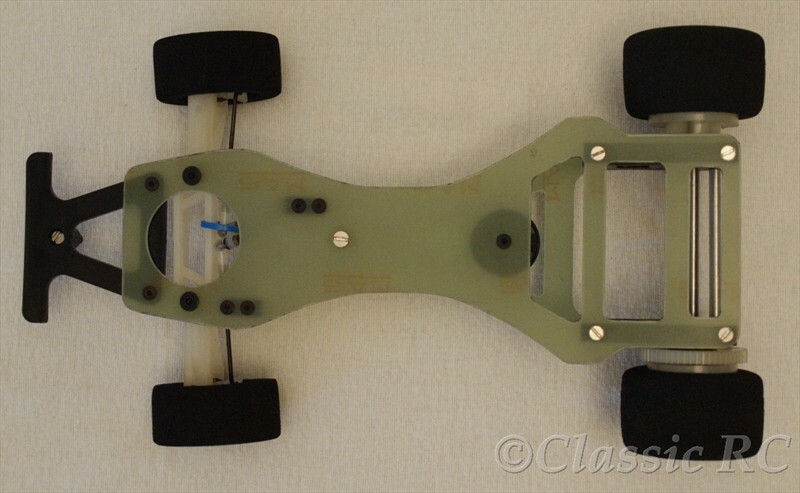 For mounting the battery a different solution was choosen with using velcro type plates glued to chassis and battery. The radioplate was used for keeping the battery in place, also a tweak adjuster could be found there. 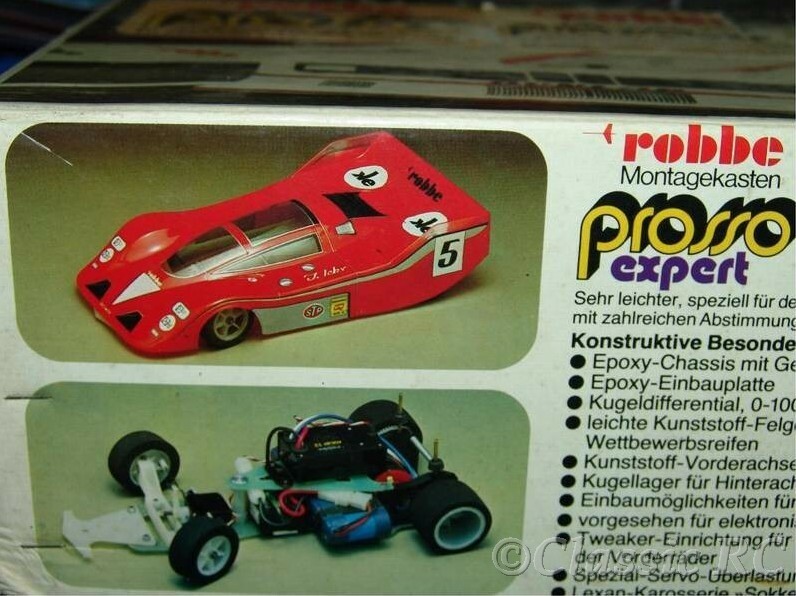 As you can see from the box at one of the pictures, the Prosso was sold also through German brand Robbe. 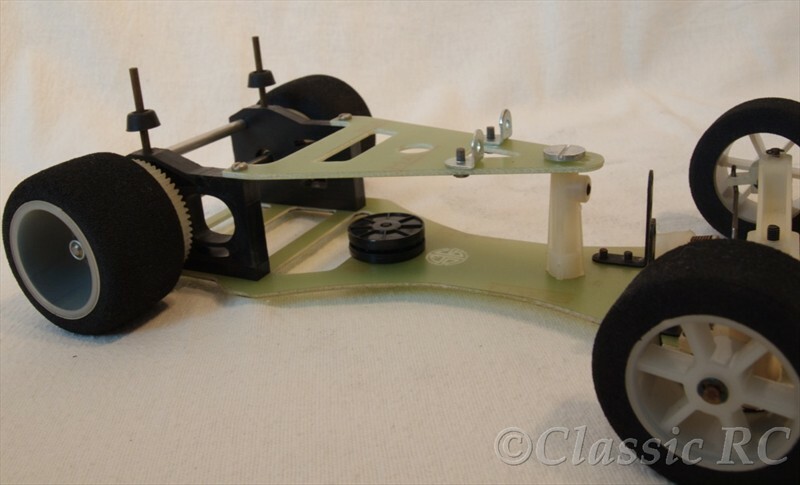 The very popular Schkee body was delivered with the kit.